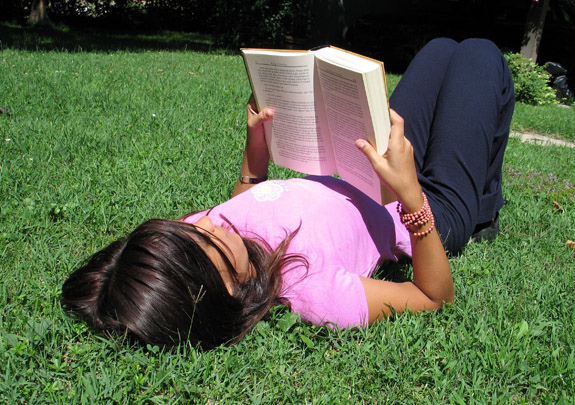 Lists and links to suggestions for great reads for the summer holidays. The books on this list offer opportunities to discover new ideas, and provide an introduction to the fascinating variety of subjects within an academic discipline. Readers will gain an understanding of our diverse world and build a foundation to deepen their response to that world. This list is developed every five years by the Young Adult Library Services Association (YALSA), a section of the American Library Association. A list of recommended books from the College Board. Whether you are into vampires, music, history, or just plain great stories, the books on this list are all excellent picks. Just try to put them down! "With spring formals and prom season upon us, the titles in [this list] focus, to varying degrees, on love. From more typical romance to science fiction, the novels here offer plenty of genre diversity ...."
S.E. Hinton's The Outsiders, published in 1967, is considered the first real "YA" book. This list suggests the 50 best YA books published in the 50 years since then, as chosen by the editors of Booklist magazine. From a public library system in Wisconsin, USA, the list includes world literature, biography, history, science, social science, drama and poetry. jan/23/can-reading-make-you-smarter. Accessed 22 May 2017. There is evidence that reading can increase levels of all three major categories of intelligence. The author believes his discovery of Spider-Man and other comic books turned him into a straight-A student. 08/02/summer-must-read-for-kids-any-book/?8dpc. Accessed 22 May 2017. "One of the most notable findings was that children improved their reading scores even though they typically weren’t selecting the curriculum books or classics that teachers normally assigned for summer reading. That conclusion confirms other studies suggesting that children learn best when they are allowed to select their own books."